We have many stain colors available, and we can finish our luxury furniture in a color appropriate for your home décor. 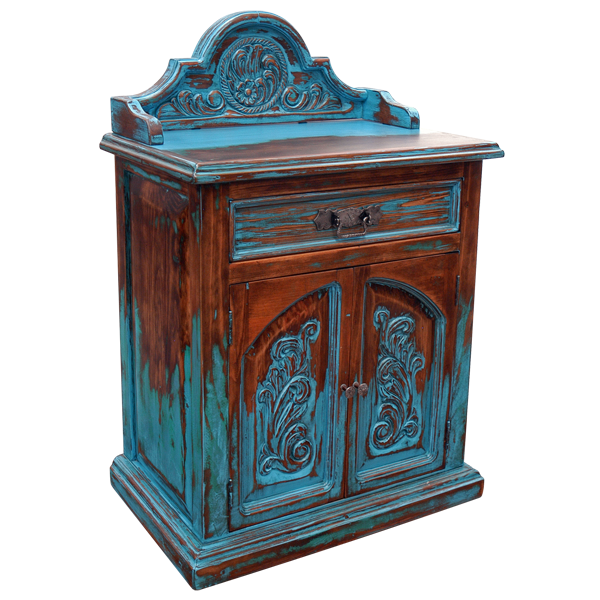 This handcrafted end table is finished with a lovely, antique, distressed, turquoise stain. 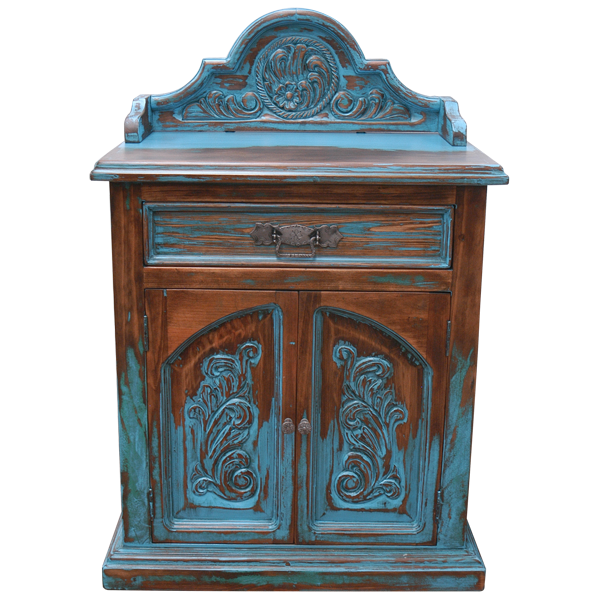 The end table features a top crest with exquisite, hand carved, floral designs. Directly below the table top is a rectangular drawer, and centered in the drawer is a hand forged, silver finished, iron, pull handle. The end table has two, rectangular cabinet doors, with an inside area for storage. 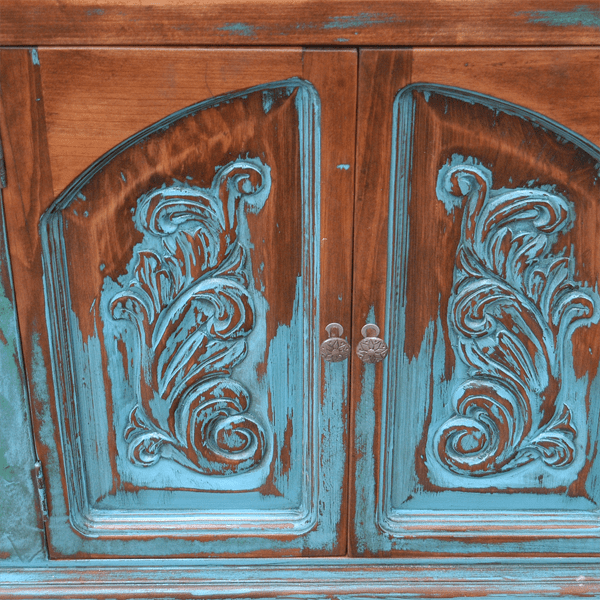 The cabinet door panels have cut, semi-arched designs, and they are adorned with matching, ornate, hand carved, floral designs. Each cabinet door also has a hand forged, silver finished, iron, pull handle. The end table has cut, rectangular panels on each side, and its rest on a wood molding base. Made with the best, sustainable, solid wood available, it is 100% customizable.